We pick up on this build right in the heat of things. 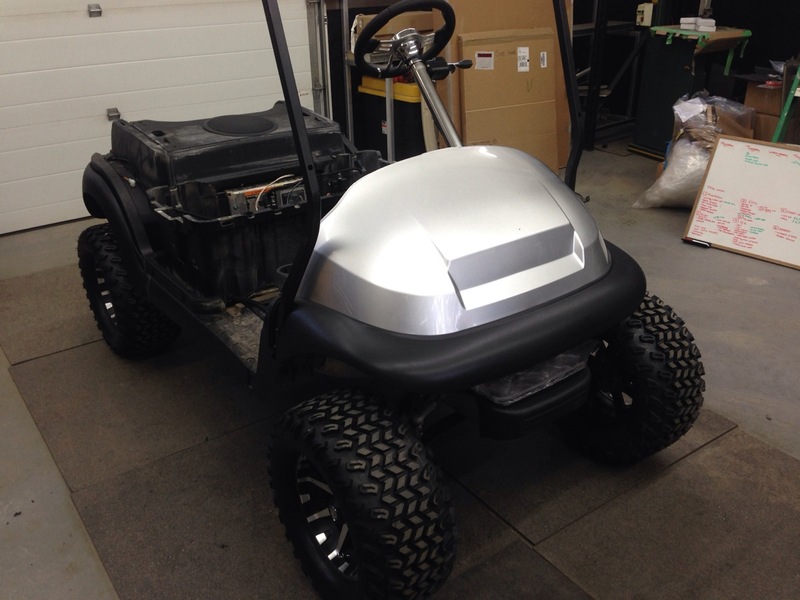 This custom buggy is moving along nicely. It will be making it’s trip to it’s new home in Grande Prairie Alberta at the end of the week. If your from GP you will have to keep your eye it for it. 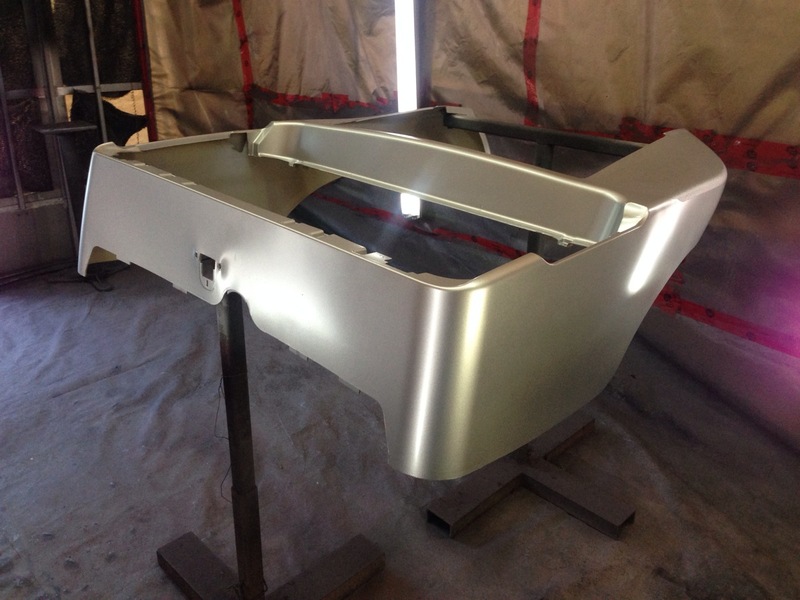 Alright it was time to lay down some paint, we started off with House of Kolor Super Sealer in Orion silver. 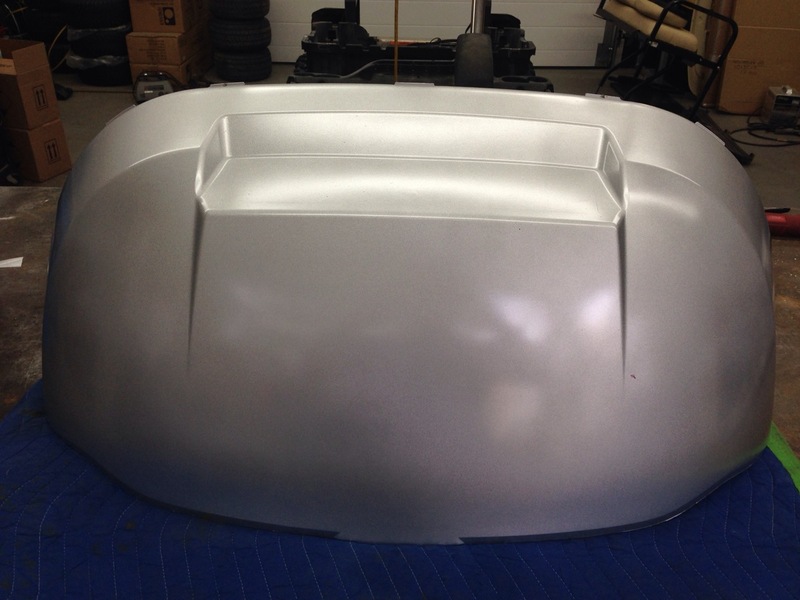 After wet sanding the sealer we laid down some base coat Orion silver and cleared it. What an amazing silver. 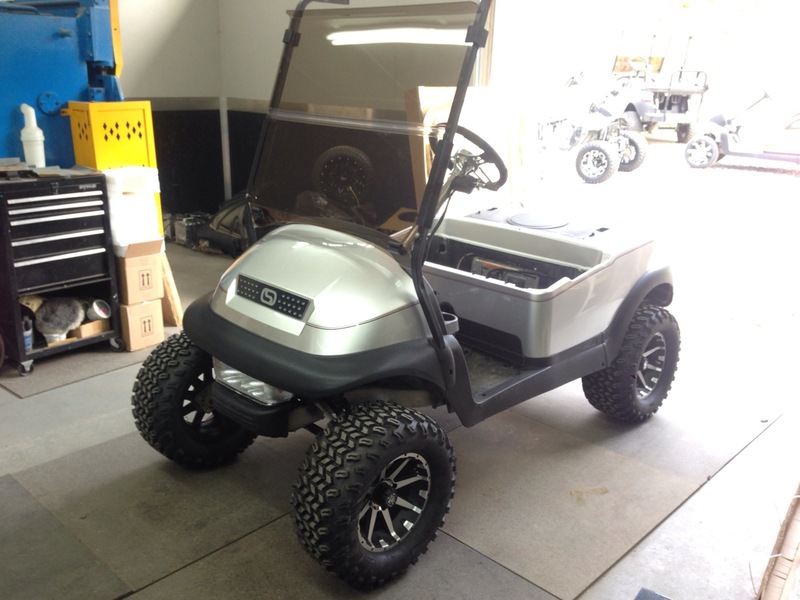 The main cart body got the same treatment. This is just the sealer! 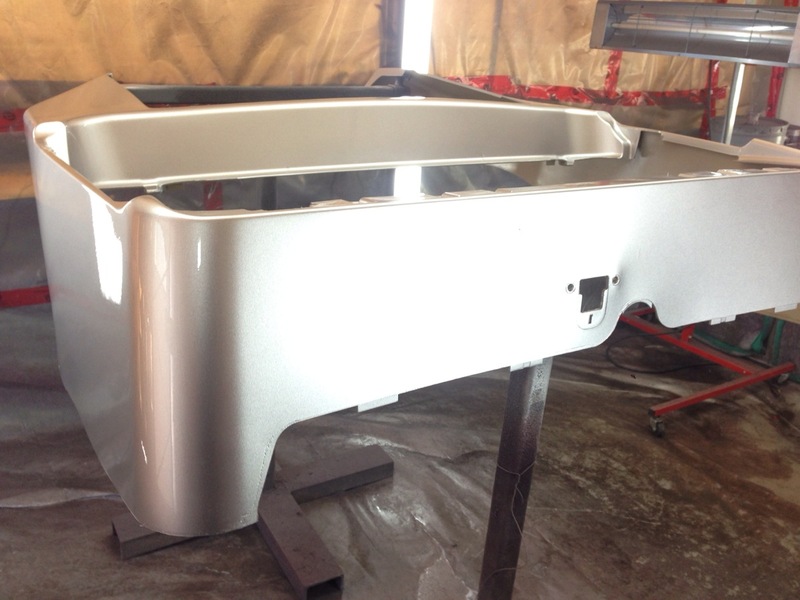 This is the Precedent body after base coat and several coats of clear. 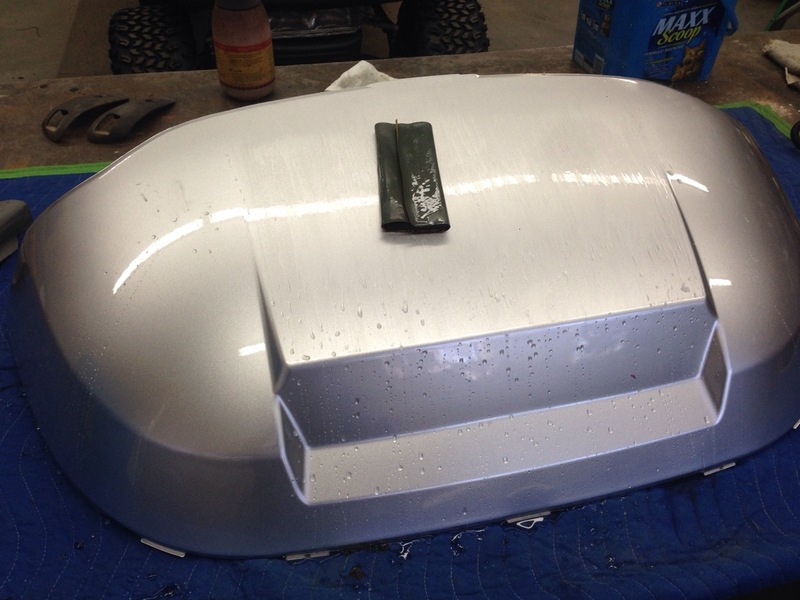 We then wet sanded and polished the custom paint job. 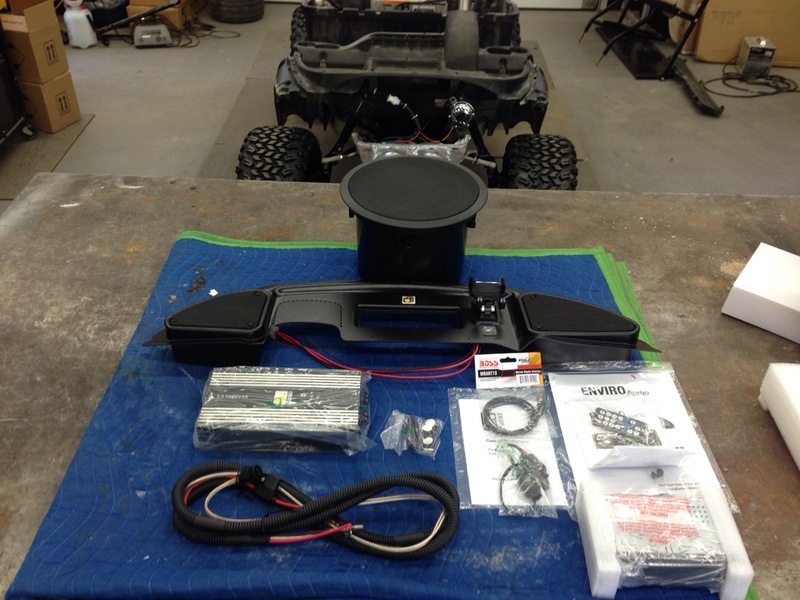 Next we moved on to installing the Turf Tunes stereo system. 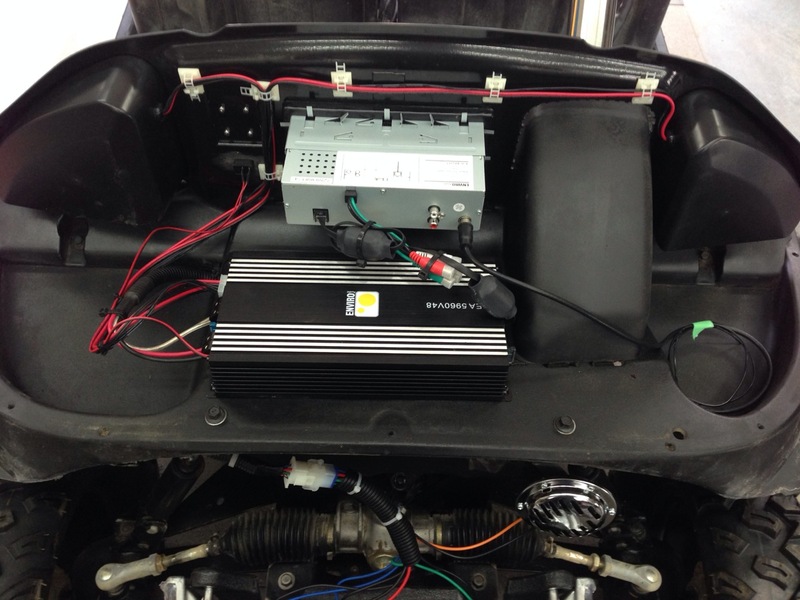 We installed the amp and radio, it looks awesome! 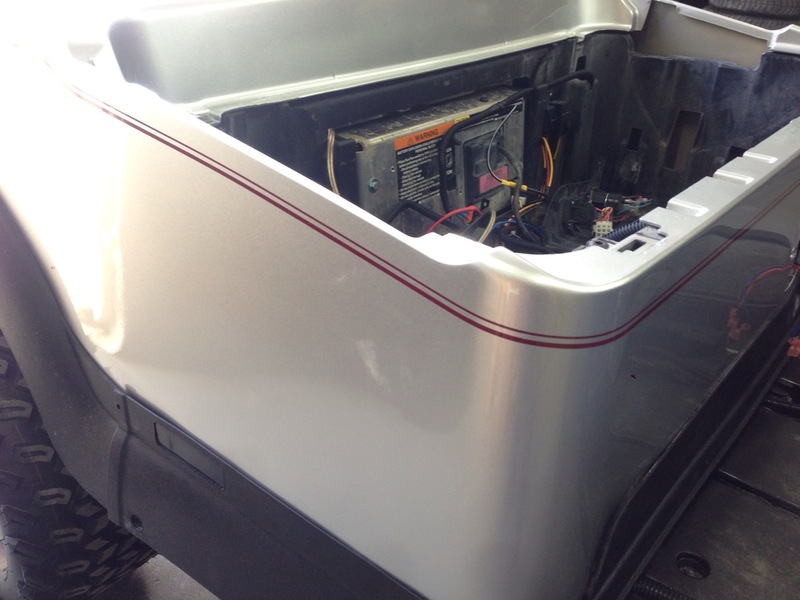 With the stereo installed we mounted the front cowl. Notice the sub in the rear Precedent underbody. 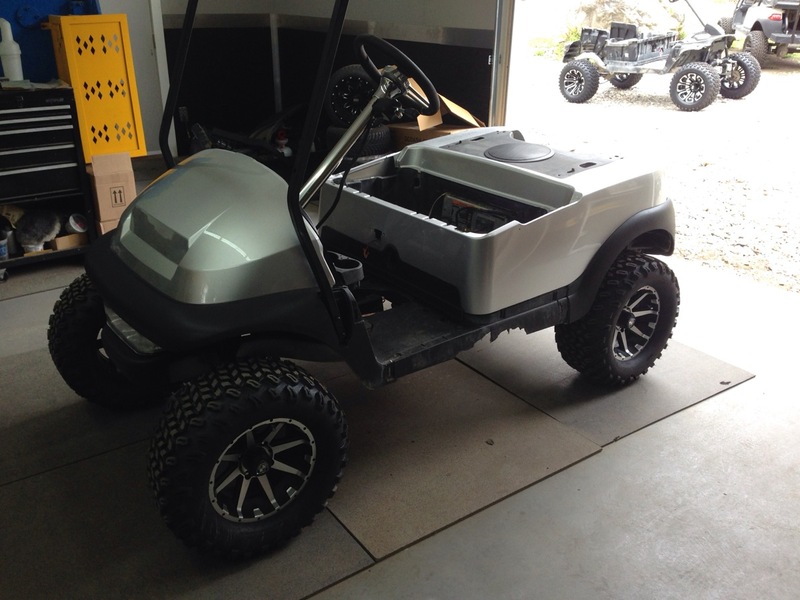 Next we installed the main body, the wheels match this paint job perfectly. The pinstripe may give you a hint of the seat color. This is a metallic pinstripe and it looks awesome against the silver. 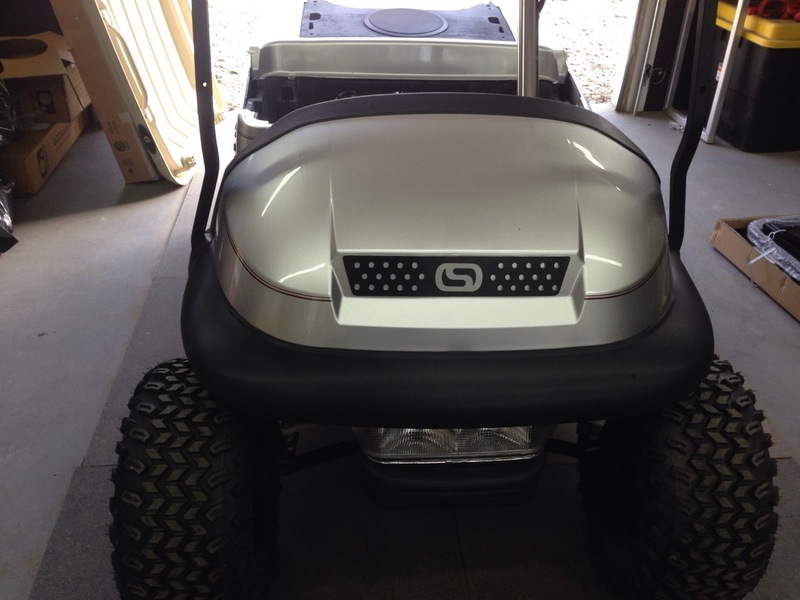 The SC Carts grill is perfectly at home on this awesome Precedent. 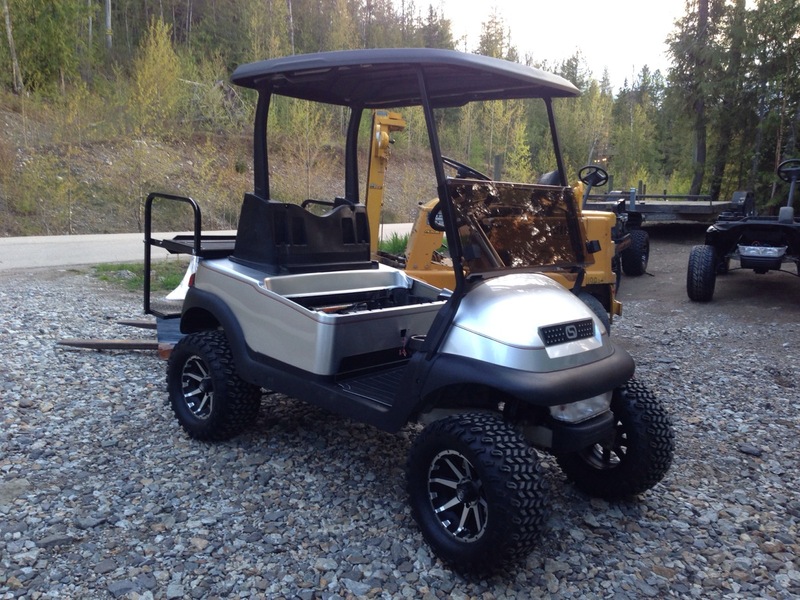 The tinted folding windscreen is exactly what this cart needs. Also check out the custom steering wheel package and if you look real close you can see the signal light stalk as well. The sweater basket and rear roof supports were next to be installed. Also you can just see the custom SC Carts floor mat. 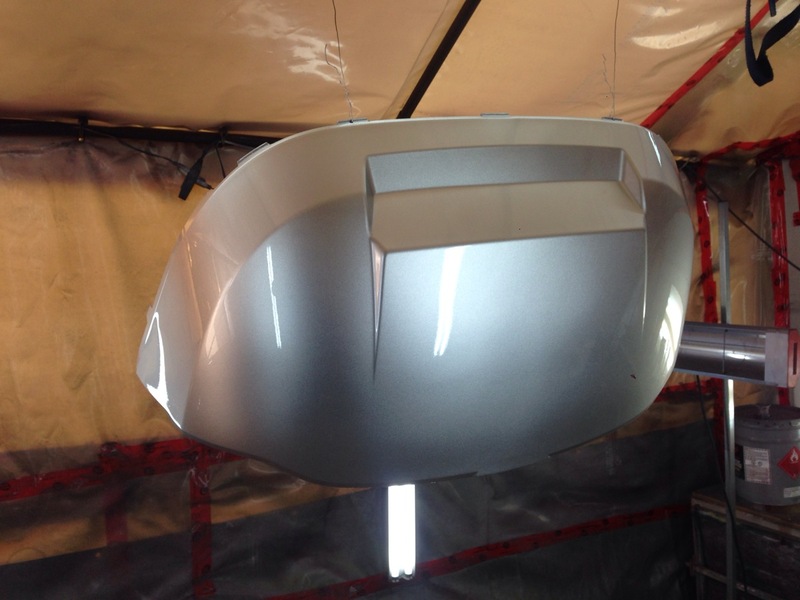 We topped it off with a satin black roof to tie in nicely with all the black trim. 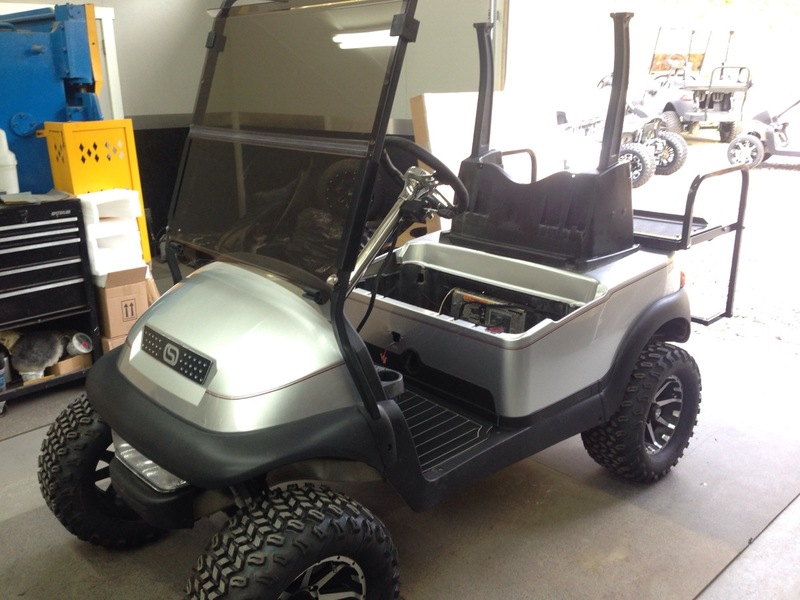 This cart is on the home stretch, the SC Carts high performance motor will be installed, batteries, upholstery and a couple finishing touches and on the truck it goes!